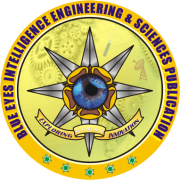 Blue Eyes Intelligence Engineering & Sciences Publication, Bhopal (M.P. ), India. Department of Electrical, Electronic and Computer Engineering, School of Engineering, Howard College, University of KwaZulu-Natal, Durban, South Africa. Vice President of Research & Development, Head of Science Team, Natural State Research, Inc., 37 Brown House Road (2nd Floor) Stamford, USA. Associate Professor, Department of Computer and Business Information Systems,Delaware Valley College, Doylestown, PA, Allman, China. Assistant Professor, Girne American University, as a Lecturer & International Admission Officer (African Region) Girne, Northern Cyprus, Turkey. Professor, Faculty of Civil Engineering, University of Tabriz, Iran. Associate Professor, Department of Biochemistry, Shanghai Institute of Biochemistry and Cell Biology, Shanghai, China. Associate Professor, Department of Computer and Information, Southwest Forestry University, Kunming (Yunnan), China. Associate Professor, Department of Digital Communications and Electronics, Misr Academy for Engineering and Technology, Mansoura, Egypt. ICES, Institute for Computational Engineering and Sciences, The University of Texas, Austin, USA. Associate Professor & Head, Department of Electronics & Communication Engineering, Haldia Institute of Technology, Haldia (Bengal), India. Assistant Professor, Department of Mathematics, Faculty of Science and Humatarian Studies, Elnielain University, Khartoum Sudan, Saudi Arabia. Associate Professor, Department of System and Networking, University of Kuala (UniKL), Kuala Lumpur, Malaysia. Faculty of Information Technology, Multimedia University (MMU), Jalan Multimedia (Cyberjaya), Malaysia. Chairperson, Vice Dean Faculty of Engineering, Department of Mechanical Engineering, Philadelphia University, Amman, Jordan. Professor, Department of Mathematics, Akdeniz University, Konyaaltı/Antalya, Turkey. Professor, Department of Computer Science & Engineering, Ideal College of Arts and Sciences Kakinada (Andhra Pradesh), India. Associate Professor & Vice-Dean, Department of Vehicle and Energy Engineeering, HCMC University of Technology and Education, Hochiminh, Vietnam. Associate Professor, Department of Technical Education, State College of Education, Afaha Nsit, Akwa Ibom, Nigeria. Dean and Professor, Department of Electronics and Communication Engineering, Prakasam Engineering College, Kandukur (Andhra Pradesh), India. Professor, Department of Computer Science and Engineering, G M Institute of Technology, Visvesvaraya Technological University Belgaum (Karnataka), India. Department of Radar, Military Technical College, Cairo Governorate, Egypt. Senior Yoga Expert and Head, Department of Yoga, Samutakarsha Academy of Yoga, Music & Holistic Living, Prahladnagar, Ahmedabad (Gujarat), India. Professor, Department of Computer Science & Engineering, Malla Reddy College of Engineering, Secunderabad (Telangana), India. Professor, Dean Academics, Department of Computer Science & Engineering, Malla Reddy College of Engineering, Secunderabad (Telangana), India. Professor & Head, Department of Commerce, Vivekanandha College of Arts & Sciences for Women (Autonomous, Elayampalayam, Namakkal (Tamil Nadu), India. Professor, Department of Computer Science & Engineering, Hyderabad Institute of Technology and Management, Hyderabad (Telangana), India. Assistant Professor, Department of Computer Science, Manav Rachna International Institute of Research and Studies, Faridabad (Haryana), India. Associate Professor, Department of Mathematics, School of Technology Hyderabad Campus, GITAM University, Visakhapatnam (Andhra Pradesh), India.